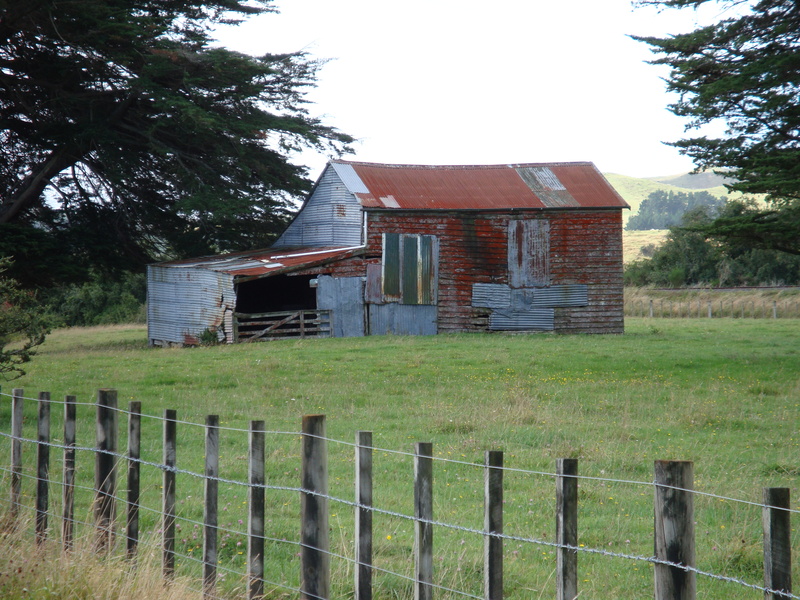 Labour Party HQ in Eketahuna … the sounds of knife-sharpening could be heard there last night. It all sounds a bit pathetic. Labour Party leader David Shearer is insisting he has the full support of his party. How he can be sure of this is a good question. But according to a Herald report here, he appeared on TVNZ’s Q+A this morning following Labour’s successful Ikaroa-Rawhiti by-election result. And sure enough, he was quizzed about rumours and reports of a possible party leadership challenge. 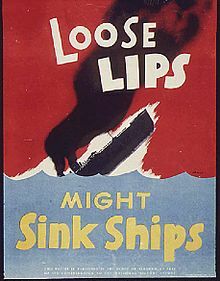 Back in the grim days of World War II, the War Advertising Council came up with the phrase “loose lips might sink ships” to be used on posters by the United States Office of War Information. It was part of a general campaign to advise servicemen and other citizens to avoid careless talk concerning secure information that might be of use to the enemy. The British equivalent used variations on the phrase “Keep mum”. One way of ensuring against people being loose lipped has become apparent after a woman down south found herself in a very sticky situation. An account of the woman’s experience has been given by TV3 here. The Greens should take a lesson from the greenery they are committed to protect. This, quite obviously, makes the plants smarter than the Greens. The report beneath the headline explains that in order to keep themselves going in the absence of sunlight, plants perform division equations throughout the night to ration their stores of starch until the moment the sun reappears. Peter Dunne, the leader of a party that no longer officially exists, says he hasn’t decided whether he’ll support a bill that would allow the Government Communications Security Bureau (GCSB) to spy on New Zealanders. The authorities who decide these things are still counting the numbers of people who have signed on as UnitedFuture members. Meanwhile your splendid government is anxious to safeguard you against the constant threat of terrorists. It is hoping to rush a bill through Parliament to allow the GCSB to get on with the job of tapping phones, eavesdropping, snooping, prying and so on that is essential to keep us safe. Dunne’s vote in Parliament could be crucial if the Maori Party votes against the bill. The story beneath the heading quotes receivers of the company as saying a poor capital structure has “killed” MediaWorks New Zealand’s business. The Auckland-based broadcaster, which owns TV3, Four, RadioLIVE, the Rock and MoreFM, was put into receivership today after a planned recapitalisation failed to win over its lenders. MediaWorks has been looking at ways to reduce its debt burden after Australian private equity firm Ironbridge Capital bought 70% of the company in 2007 for some $741 million. Radio NZ had the news on its home page (here) under the heading TV3’s owners in receivership. On the NZ Herald home page at time of writing (here), the news was headed Mediaworks: It’s business as usual. On Stuff’s home page, it was down the list a bit (here) under the heading MediaWorks to dispute tax payment. But 10 minutes later it had been displaced by other stuff. And how did TV3 rate the news? Not good enough for its home page. But they did not ignore it. They gave it a place on the Business news page (here). But that was around 1pm today. By the time you get around to reading this post, the news on each of the pages cited here may well have been changed. Alf has enormous regard for the indigenous people of this country, who – by virtue of the New Zealand Government signing some Declaration of the Rights of Indigenous People – have officially been deemed “special”. Alf’s mate and former Parliamentary colleague, Simon Power, said as much in a ministerial statement on 20 April 2010. It was a ministerial statement he made as Minister of Justice on the matter of the UN Declaration on the Rights of Indigenous Peoples and it explained why our wonderful government supported it. A bit of leadership, please. The fact is, Prime Minster John Key is being a tad precious when he describes anti-fluoride arguments as “overstated”. He is reported to have told the media at the National Fieldays he supports fluoridation of water supplies. But then he said it is a matter for local councils to decide. You are currently browsing the Alf Grumble blog archives for June, 2013.